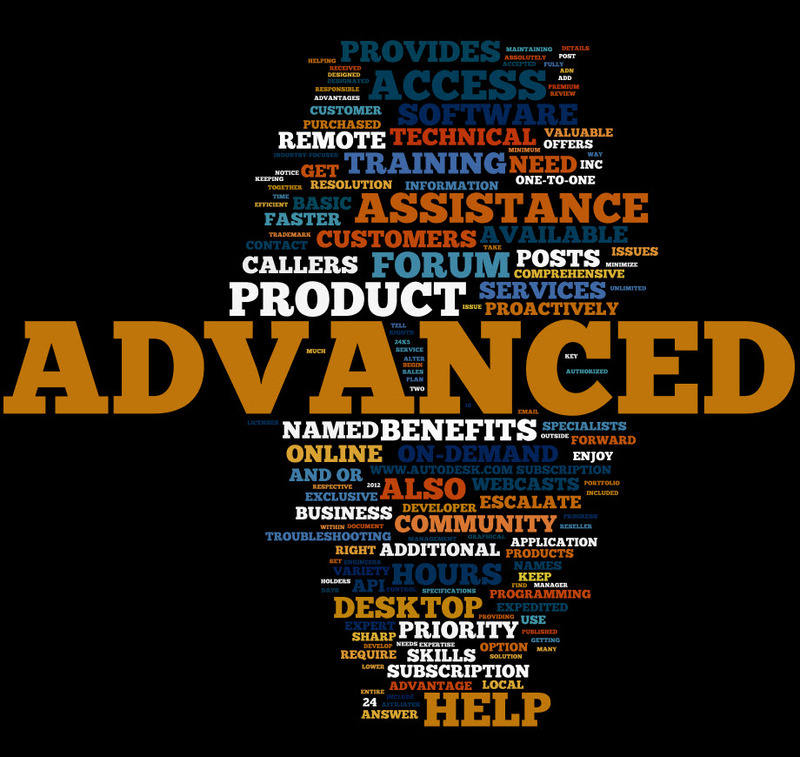 Word cloud for the Customer Guide to Autodesk Advanced Support. Autodesk Advanced Support provides you with all the benefits of Basic Support, including expedited community forum support: if the community does not respond to your posts within 24 hours, they are automatically escalated to Autodesk. This entry was posted in Infographic, Word Cloud and tagged Autodesk, Forums, Support by xsisupport. Bookmark the permalink. That’s true. I imagine in practice Autodesk Support focuses on questions about technical problems, not out-of-scope questions. I don’t know the exact protocol; certainly general how-to questions or vague non-specific questions will have a lower priority when escalated.